14/10/16 -- Soycomplex: Beans closed higher on the day and for the week, but well off intra session highs heading into the weekend. Weekly export sales came in at the top end of expectations (800 TMT to 1.3 MMT) at 1,417,100 MT for 2016/17, mostly for China (795,800 MT) and unknown destinations (319,000 MT). The NOPA crush report for September will be out Monday, so to will be weekly export inspections. Both could offer the market further support. The average trade estimate for NOPA crush is around 129 million bushels. The Commitment of Traders report shows managed money adding roughly 8,000 contracts to their net long position in beans for the week through to Tuesday night. Nov 16 Soybeans closed at $9.62 1/2, up 6 1/4 cents; Jan 17 Soybeans closed at $9.70 1/4, up 5 1/2 cents; Dec 16 Soybean Meal closed at $300.60, down $1.70; Dec 16 Soybean Oil closed at 34.38, up 100 points. For the week, Nov 16 beans were up 5 3/4 cents. Corn: Corn closed with decent gains on the day and for the week. Weekly export sales were OK, coming in at 873,400 MT for 2016/2017, down 58 percent from the previous week and 18 percent below the prior 4-week. The average trade guess was for sales of between 700,000 MT and 1.450 MMT. Short-covering has been a major factor this week, pushing prices to highs not seen on a nearby month since July. Managed money was said to have covered in roughly 32,000 lots of their net short position in corn through to Tuesday’s close. They are still net short 130,973 contracts however. FranceAgriMer said that the French 2016 corn harvest is estimated at 23% done, ten points down on this time in 2015. Crop conditions were unchanged at 53% good to very good versus 56% a year ago. In Russia, corn harvesting is said to be 39% complete at 6.1 MMT. Dec 16 Corn closed at $3.54 1/4, up 4 3/4 cents; Mar 17 Corn closed at $3.63 3/4, up 4 1/4 cents. For the week Dec 16 gained 14 1/2 cents. Wheat: Wheat closed higher on the day and for the week. Weekly export sales of 491,000 MT for delivery in marketing year 2016/17 were up 30 percent from the previous week and 3 percent above the prior 4-week average. Short-covering has also been a major feature in wheat this week, with managed month reducing the size of their net short position in Chicago by around 16k contracts to 135,406 lots as of Tuesday night. Increased export interest, and talk that US wheat is finally becoming more competitive on the international stage is what appears to have got them spooked. Egypt bought 120,000 MT of Romanian and 60,000 MT of Russian milling wheat for delivery Nov 11-20. Algeria have been in the market, reportedly booking 450-500 TMT of optional origin wheat in a tender for 50 TMT. Saudi Arabia are also said to have purchased 595,000 MT of wheat of HRW quality. In Russia wheat harvesting is said to be 97.8% complete at 75.6 MMT. Dec 16 CBOT Wheat closed at $4.21, up 5 cents; Dec 16 KCBT Wheat closed at $4.17 3/4, up 3 3/4 cents; Dec 16 MGEX Wheat closed at $5.28 1/2, down 3 1/2 cents. For the week CBOT wheat was up 26 1/4 cents. 14/10/16 -- EU grains closed mostly higher on the day and for the week. London wheat extended it's winning weekly run to five and with Nov 16 at the best levels for a front month since Christmas/New Year 2014/15. The day ended with Nov 16 London wheat up GBP2.20/tonne at GBP134.30/tonne, Dec 16 Paris wheat was up EUR2.50/tonne at EUR163.25/tonne, Nov 16 corn was up EUR1.25/tonne at EUR159.50/tonne and Nov 16 rapeseed was up EUR2.25/tonne to EUR388.50/tonne - the highest front month close since July 2015. Sterling weakness continues to come to the rescue of London wheat, but strength in US futures has also started to come into play recently. Chicago wheat is up 17% since the last day of August. EU wheat exports are running ahead of last year, up 17% at a cumulative 7.3 MMT so far this season, despite a poor showing from from France. They picked up only 41 TMT worth of this week's 526 TMT of soft wheat export licences awarded by Brussels. Romanian wheat picked up the lion's share (120 TMT) in this week's Egyptian tender, with Russia winning a further 60 TMT worth. 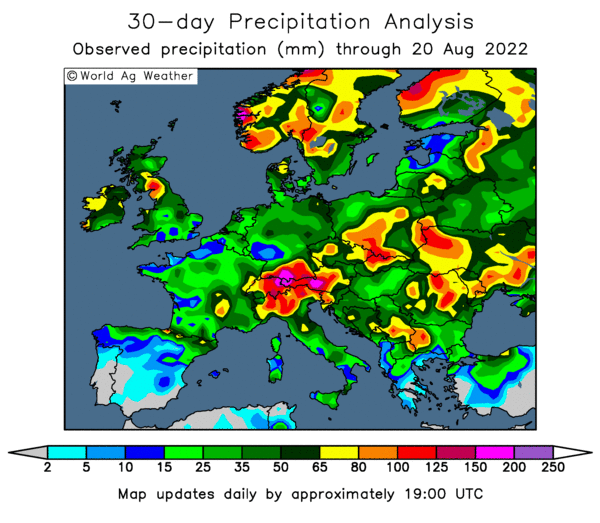 Rapeseed prices also continue to gain on reduced EU availability (production down 10% this year at 20 MT according to the USDA), steady palm oil prices and wet weather harvest disruptions in Canada. Regular EU supplier Ukraine also has a much smaller rapeseed crop this year due to sharply reduced plantings last autumn. Looking ahead, FranceAgriMer estimated French winter wheat plantings at only 23% complete versus 34% done a year ago. 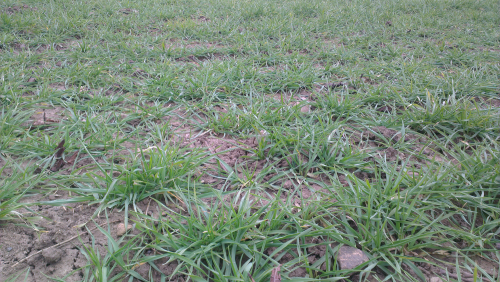 Winter barley is 39% sown against 54% a year ago. The French 2016 corn harvest is estimated at 23% done, ten points down on this time in 2015. Crop conditions were unchanged at 53% good to very good versus 56% a year ago. As well as Egyptian buying this week, Algeria have been in the market, reportedly booking 450-500 TMT of optional origin wheat in a tender for 50 TMT. Saudi Arabia are also said to have purchased 595,000 MT of wheat of HRW quality that could be sourced from Germany, according to Agritel. Whilst EU soft wheat exports are 17% up on year ago levels, note that the USDA currently predicts them to fall 28% year-on-year. If they don't, then ending stocks would tighten further from the already forecast 25% to 10.5 MMT. Meanwhile the Russian harvest rumbles on towards the expected post-Soviet era record, with 93% of the combinable area collected so far producing a crop of 115.4 MMT in bunker weight. Wheat harvesting is said to be 97.8% complete at 75.6 MMT and growers there have also brought in 96.9% of barley for a crop of 19.0 MMT so far. Corn harvesting is said to be 39% complete at 6.1 MMT. Rusagrotrans said that the volume of Russian wheat making 3rd and 4th grade milling standard this year will be 56.4 MMT versus 49.5 MMT a year ago. 13/10/16 -- Soycomplex: Soybeans closed higher on strong demand. The USDA reported 115,000 MT of soybeans sold to unknown destinations, and another 126,000 MT sold to China for 2016/17. A 126,000 MT sale of meal to unknown destinations was also announced under the daily reporting system. The Rosario Grain Exchange estimated Argentine soy plantings down 3% this year vs only 0.5% from the USDA. Chinese crushers are rumoured to have booked 450 to 500 TMT of soybeans this week now that they are back off holiday, according to FCStone. Weekly export sales will be announced tomorrow due to Monday's government holiday. The trade is expecting bean sales of between 800 TMT and 1.30 MT. A Bloomberg survey into trader/analyst sentiment found the trade bearish on soybeans for the eighth week in a row: Bullish: 5 Bearish: 12 Neutral: 3. Nov 16 Soybeans settled at $9.56 1/4, up 10 3/4 cents; Jan 17 Soybeans settled at $9.64 3/4, up 11 1/4 cents; Oct 16 Soybean Meal settled at $299.80, up $5.30; Oct 16 Soybean Oil settled at 33.16, up 2 points. 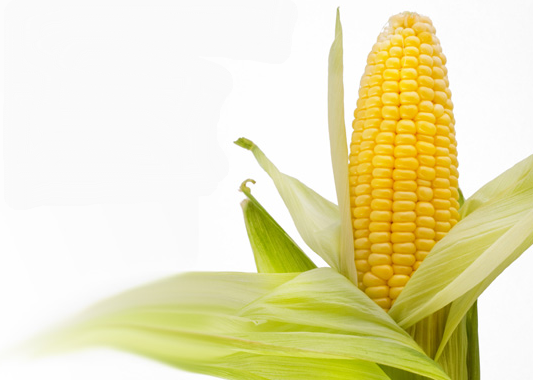 Corn: The corn market closed with strong gains helped by advances in wheat. The US energy Dept reported weekly US ethanol production at 962,000 barrels per day, down 18,000 bod from the previous week. Stocks were at an 11-month low of 19.39 million barrels, partly due to disruptions in production due to the remnants of Hurricane Matthew. "(The) weather forecast looks to be very favorable with many areas seeing 70+ degree days this weekend. This should help dry down corn and field conditions. I would anticipate a respectable increase in harvest progress with this weather forecast," said Benson Quinn's Brian Henry. Weekly export sales for corn are predicted to be in the region of between 700,000 MT and 1.450 MT. The Bloomberg survey into trader/analyst sentiment on corn found the trade pretty evenly split: Bullish: 7 Bearish: 7 Neutral: 6. Russia said that it's corn harvest was 37.9% done at 5.8 MMT. Ukraine's corn harvest is said to have stalled on adverse weather. FranceAgriMer lowered their French corn export estimate to 5.16 MMT, down from 5.26 MMT previously and versus 6.09 MMT a year ago. Dec 16 Corn settled at $3.49 1/2, up 12 1/2 cents; Mar 17 Corn settled at $3.59 1/2, up 12 1/2 cents. Wheat: The wheat market closed with solid gains as fund money got spooked into covering in some of their massive wheat short position. Good demand emerged with Egypt, Algeria and Saudi Arabia all in the market tendering for wheat of various volumes and origins. There's talk that US wheat offers are finally becoming competitive. In the Egyptian enquiry there was an offer of 55,000 MT of US hard red winter wheat tendered by Louis Dreyfus at $173.98/tonne. "While the cargo was disqualified, for not meeting tender specifications, it was by a distance the cheapest on offer, below Romanian wheat, of which the lowest offer was priced at $179.99/tonne, with Russian supplies offered at $177.94/tonne or more," said Agrimoney. FranceAgriMer lowered their forecast for the French wheat crop by 0.5 MMT to just 28.0 MMT this year, a 31.5% slump compared to 2015. French exports to non-EU countries were estimated at 6.4 MMT (versus 6.6 MMT previously and 12.6 MMT last season). Exports within the EU were seen at 4.7 MMT (unchanged from last month but down from 7.8 MMT in 2015/16). Weekly export sales tomorrow are predicted at 300,000 MT to 550,000 MT. The Bloomberg survey into trader/analyst sentiment on wheat found: Bullish: 5 Bearish: 12 Neutral: 3. Dec 16 CBOT Wheat settled at $4.16, up 19 1/4 cents; Dec 16 KCBT Wheat settled at $4.14, up 15 1/2 cents; Dec 16 MGEX Wheat settled at $5.32, up 10 1/4 cents. 13/10/16 -- EU grains closed mostly higher, with London wheat and Paris rapeseed pressing onto new highs for the recent move. At the finish Nov 16 London wheat was GBP0.85/tonne higher at GBP132.10/tonne, within less than a pound of the best close on a front month since the beginning of January 2015. Dec 16 Paris wheat was up EUR1.75/tonne at EUR161.25/tonne, Nov 16 Paris corn ended EUR0.75/tonne firmer at EUR158.25/tonne and Nov 16 Paris rapeseed was EUR2.75/tonne higher at EUR386.25/tonne - the highest close for a front month since Aug 2015. 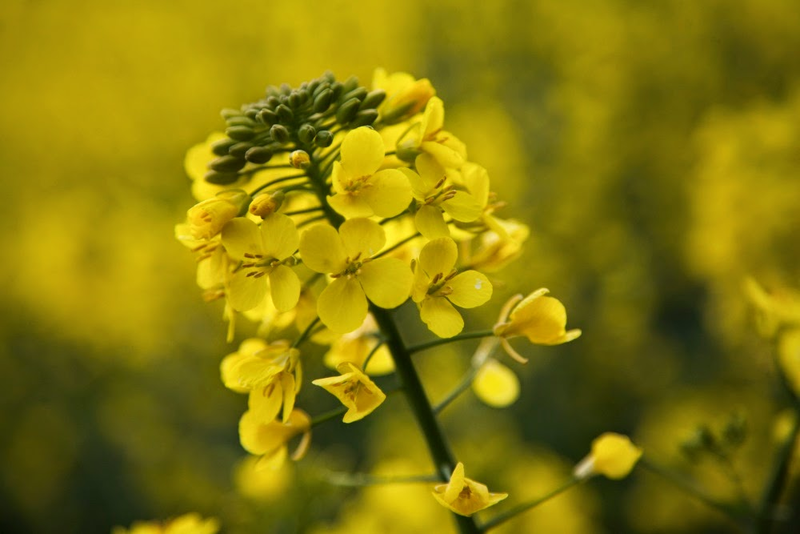 At home Defra estimated the UK rapeseed crop at 1.77 MMT, down 30% on 2.54 MMT a year ago. This was due to a combination of reduced plantings and lower yields. The NFU are even more bearish on production at just 1.7 MMT, a 32.5% decline on a year ago. They said that the harvested area had now dropped for 5 years in a row, and may do the same again in 2017. The NFU are also more bearish than Defra on wheat production (14.2 MMT vs 14.47 MMT from the Ministry) and barley output (6.6 MMT vs 6.65 MMT). This season's rapeseed shortage has "has encouraged UK prices to move to a premium to, rather than a discount to, European prices," the HGCA noted yesterday. "Moving from a net export to a net import position has implications for both UK prices relative to elsewhere in Europe, and for regional prices within the UK (especially for Scottish values relative to English). The former situation is also complicated (and magnified) on the wider scale by the tight EU picture as a whole this year, increasing the need to import from Ukraine, Canada and/or Australia," they said. This isn't the case for wheat just yet, where the latest figures from Defra show that the balance of wheat availability and domestic consumption this season is 2.75 MMT in the UK in 2016/17, even if this is down more than 50% on a year ago. The UK has however exported 457 TMT of wheat in the first two months of the marketing year, suggesting that home produced supplies could also tighten considerably as the season progresses. Does this mean that prices are a certainty to move higher? Not necessarily, much of that depends on where the pound is going to go versus the US dollar and euro for the rest of the season. Whilst spec money is lining up to punt the pound from the short side, to me it already looks oversold and ripe for some upside correction. Short-term though the sterling bears seem to have to momentum in their favour though, making further London wheat appreciation seem likely before we hit any consolidation period. 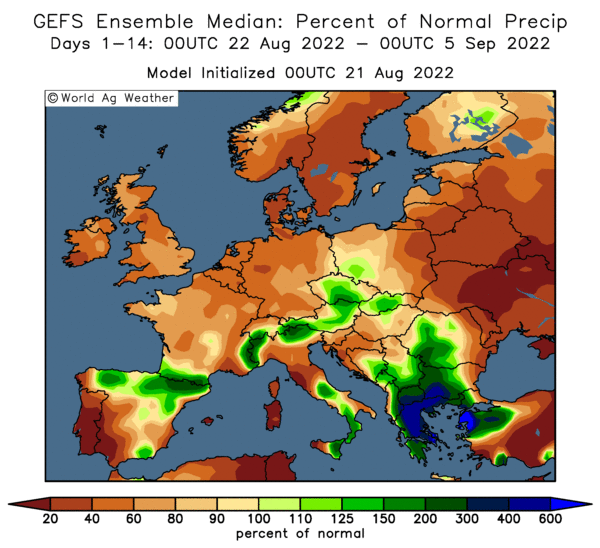 Across the Channel FranceAgriMer lowered their forecast for the French wheat crop by 0.5 MMT to just 28.0 MMT this year, a 31.5% slump compared to 2015. French exports to non-EU countries were estimated at 6.4 MMT (versus 6.6 MMT previously and 12.6 MMT last season). Exports within the EU were seen at 4.7 MMT (unchanged from last month but down from 7.8 MMT in 2015/16). They also lowered their estimates for French barley and corn exports this season. Saudi Arabia tendered for 595 TMT of optional origin hard wheat for Dec/Jan shipment. Jordan were said to have bought 100 TMT of optional origin hard wheat. Egypt's GASC are back in the market tendering for wheat for 11-20 November shipment. 12/10/16 -- Soycomplex: Beans closed lower. The USDA put the national average yield at 51.4 bu/acre, up 0.8 bu/acre from last month but slightly lower than the average trade guess of 51.5 bu/acre. It was also not as high as some pundits had been predicting, with 53.0-53.5 bu/acre getting a mention in some quarters. Brazil's crop was upped from 101 MMT to 102 MMT, Argentina's was left unchanged at 57 MMT. China's import needs were also unaltered at 86 MMT. Global 2016/17 ending stocks were however raised more than 5 MMT to 77.4 MMT. Nov 16 Soybeans settled at $9.45 1/2, down 8 3/4 cents; Jan 17 Soybeans settled at $9.53 1/2, down 8 1/4 cents; Oct 16 Soybean Meal settled at $294.50, down $3.10; Oct 16 Soybean Oil settled at 33.14, down 2 points. Corn: The market closed with sharp losses. The USDA came out with 2016 US corn production at 15.057 billion bushels and yields of 173.4 bu/acre. Both were pretty much exactly what the trade had been expecting. US 2016/17 ending stocks were estimated at 2.32 billion bu. On a global level the world 2016/17 crop was lowered 1 MMT to 1026 MMT, with ending stocks down from 219.5 MMT to 216.8 MMT. US 2016/17 exports were raised 1.5 MMT to 56.5 MMT and Brazil's were upped 1 MMT to 21 MMT. The usual Wednesday weekly ethanol production data is delayed a day until tomorrow. Brazilian full season corn planting is reported at 38% done, some 15 points lower than at this time last year. A hard freeze warning is in place for the WCB tonight, but should come too late in the season to cause much damage. Dec 16 Corn settled at $3.37, down 8 1/2 cents; Mar 17 Corn settled at $3.47, down 8 1/4 cents. Wheat: The wheat market closed lower across the three exchanges, with Chicago wheat the hardest hit. "Global production in 2016/17 is lowered slightly but remains a record. Larger crops in Australia, Brazil, and Canada are more than offset by cuts in the EU and the United States," the USDA said. US 2016/17 ending stocks were estimated at 1.138 billion bu (trade estimates were between 1.050 and 1.400 billion bu). US exports in 2016/17 were raised 0.5 MMT to 26 MMT due to the strong early-season pace of sales and shipments. Australian and Canadian production and exports were also raised. Russia was left unchanged on both fronts. Russia said that it exported 3.655 MMT of wheat in September, up 20% on August, despite problems with shipments to Egypt. The USDA today lowered Egypt's imports a little, down from 12.2 MMT to 11.8 MMT. Dec 16 CBOT Wheat settled at $3.96 3/4, down 10 1/2 cents; Dec 16 KCBT Wheat settled at $3.98 1/2, down 7 3/4 cents; Dec 16 MGEX Wheat settled at $5.21 3/4, down 2 1/2 cents. 12/10/16 -- EU grains closed mostly higher on the day. For rapeseed this was the highest close since Jun 8. At the close Nov 16 London wheat was down GBP0.25/tonne at GBP131.25/tonne, Dec 16 Paris wheat was EUR1.50/tonne higher to EUR159.50/tonne, Nov 16 Paris corn was EUR0.50/tonne easier at EUR157.50/tonne, Nov 16 Paris rapeseed was EUR1.75/tonne higher at EUR383.50/tonne. Algeria tendered for an arbitary 50,000 MT of soft wheat of optional origin for Nov/Dec shipment. They frequently purchase much more than they tender for - booking 700 TMT of what was thought mostly EU wheat last time. Jordan tendered for 100 TMT of optional origin feed barley for March delivery. 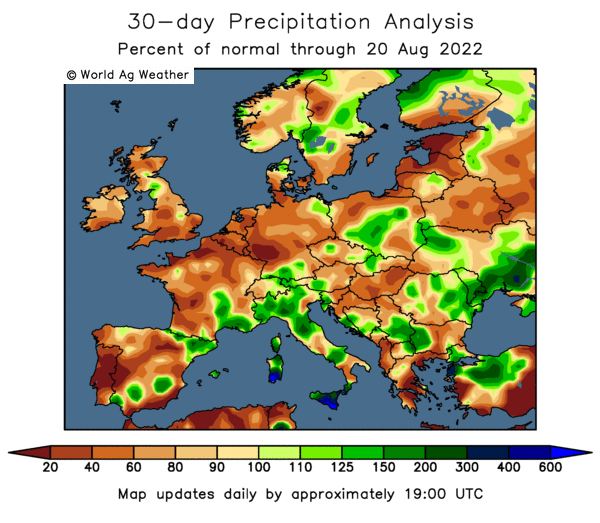 Ukraine's harvest (currently standing at 80% done) is reported stalled due to high winds and heavy rain. The latest figures from Defra show that the balance of wheat availability and domestic consumption this season is 2.75 MMT in the UK in 2016/17, 51% lower year on year and only above 2013/14 within the past ten years, say the HGCA. 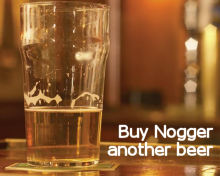 "Barley supply and demand is also forecast to be tighter than last two seasons as a result of the smaller crop but less so than in 2013/14," they add. Late in the day the USDA cut their estimate for this year's EU-28 all wheat crop by 2 MMT to 143.2 MMT, reducing exports in 2016/17 by 1 MMT to 25 MMT "on large production cuts in major exporting countries, particularly France and Germany." Production therefore is now seen 16.8 MMT, or 10.5%, down on a year ago, with exports declining 9.7 MMT, or 28%. Globally however output was only lowered 0.4 MMT due to production increases for Canada, Australia and Brazil. World ending stocks were trimmed 0.7 MMT to a still huge 248.3 MMT - a third of the global crop. The size of the EU-28 corn crop was cut by 0.9 MMT to 60.3 MMT, rapeseed output was left unchanged at 20 MMT. 11/10/16 -- Soycomplex: Beans closed little changed, with the trade seemingly already where it wants to be heading into Wednesday's USDA report. Export inspections of 1.8 MMT were pretty robust, underlining the strong demand theme. Yet the trade is expecting a record supply and bumper yield theme also to be confirmed in tomorrow's WASDE report. Yields of 51.5 bu/acre are the average trade guess, but some are talking as high as 53.0 bu/acre, smashing all previous records. Trade ideas for production run between 4.147 and 4.357 billion bu. After the close the USDA estimated the 2016 US soybean harvest at 44% complete, not as high as the 50% done that the trade was expecting. Conditions were unchanged on a week ago at 74% good to excellent. Nov 16 Soybeans settled at $9.54 1/4, down 1/4 cent; Jan 17 Soybeans settled at $9.61 3/4, up 1/4 cent; Oct 16 Soybean Meal settled at $297.60, up $1.30; Oct 16 Soybean Oil settled at 33.16, down 46 points. Corn: Corn closed a couple of cents or so higher. Weekly export inspections of 1.13 MMT were down around 24% from last week, but still up some 87% on the same week last year. The USDA also announced export sales of 161,544 MT of corn for delivery to unknown destinations during the 2016/17 marketing year under the daily reporting system. The market is expecting the USDA to lower 2016 US corn yields by around 1 bu/acre in tomorrow's report, with the average trade guess coming in around 173.4 bu/acre. Production is estimated around 15.06 billion bu. After the close the USDA put this year's US corn harvest at 35% done versus the expected 40-45% and 38% on average. Maturity was placed at 93% versus 88% on average. Crop conditions were left unchanged at 73% good to excellent, in line with expectations. "South American weather remains beneficial for planting in central Brazil, southern Brazil, and all of Argentina’s corn belt the next 5 days. The northern Brazil corn belt is due for some much needed showers in the 6-10 forecast," said FCStone. Dec 16 Corn settled at $3.45 1/2, up 2 1/4 cents; Mar 17 Corn settled at $3.55 1/4, up 2 cents. Wheat: Wheat closed mixed. Weekly export inspections of only 432,859 MT didn't pull up any trees. That is only around 65% of last week's total, but still better than the same poor week last year (322 TMT). Loadings to date are running 2.21 MMT over a year ago. The USDA reported winter wheat planting for the 2017 harvest at 59% complete versus 60% on average. Emergence is at 34% versus 30% on average. The trade is looking for US ending stocks of between 1.050 and 1.400 billion bushels on Wednesday, with global carryout seen at 246 to 252.70 MMT. Bullish surprises for wheat are not expected. Still, the funds remain heavily short and may be unwilling to press the downside to much more for the time being. Japan are in the market for their regular Tuesday wheat tender, looking for 100 TMT of US/Canadian origin material (no room for Australia this week), with the results expected on Thursday. Russia said that they'd harvested 114.5 MMT of grains so far this season off 92.5% of the combinable area. That includes 75.5 MMT of wheat (97.7%) and 19.0 MMT of barley (96.7%). Dec 16 CBOT Wheat settled at $4.07 1/4, up 3 1/2 cents; Dec 16 KCBT Wheat settled at $4.06 1/4, down 3/4 cent; Dec 16 MGEX Wheat settled at $5.24 1/4, up 2 cents. 11/10/16 -- EU grains closed mixed Tuesday. Continued sterling weakness saw London wheat press on to new highs for the move. The day ended with Nov 16 London up GBP1.15/tonne at GBP131.50/tonne, Dec 16 Paris wheat was up EUR0.25/tonne at EUR158.00/tonne, Nov 16 corn was unchanged at EUR158.00/tonne and Nov 16 rapeseed was up EUR1.25/tonne to EUR381.25/tonne. Sterling weakness continues to support London wheat. How low can the pound go? Pundits are lining up to predict parity with the euro and 1.10 versus the US dollar - maybe lower in the case of the latter. The economic news coming out of the UK doesn't stack up with such sterling weakness however, and the pound is certainly oversold and undervalued at these levels. Still, the market is the market, and spec money has the sniff of some easy cash to be made, so the path of least resistance is for now undoubtedly lower. This means that London wheat is probably over-priced, but likely to go higher still, before there's a shake-out. Exports are going well, with France providing a nice new nearby ready market. The UK exported 255.9 TMT of wheat in August, up from 201 TMT in July, with 78 TMT (or 30%) of that going to France. That means that two months into the 2016/17 season the UK has exported 456.9 TMT of wheat versus only 181.6 TMT in the same period in 2015/16. Barley exports are also going well. At 280.9 TMT for Jul/Aug these are the highest since 2003/04 and up on 266.6 TMT a year ago. Spain is the top barley home during this period(131.5 TMT). As long as the pound remains under pressure, UK exports should continue to do well into these nearby homes. Further afield competition from Russia among others remains strong. 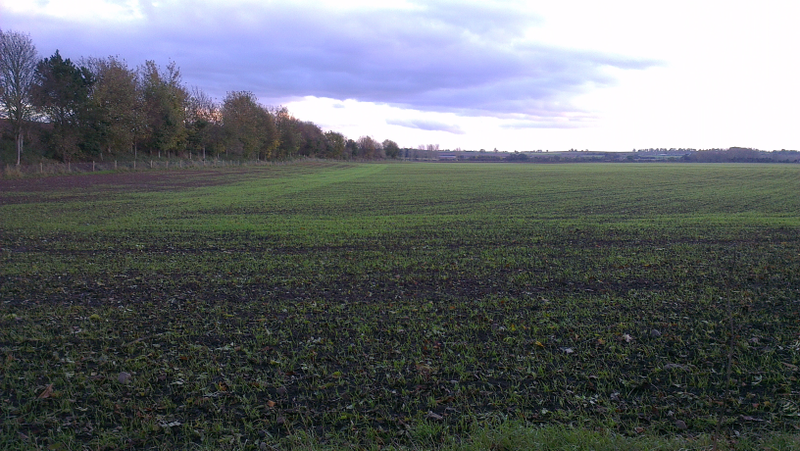 They've harvested 114.5 MMT of grains so far this season off 92.5% of the combinable area. That includes 75.5 MMT of wheat (97.7%) and 19.0 MMT of barley (96.7%). The 2016 corn harvest is 34.7% complete at 5.4 MMT. Plantings for the 2017 harvest are now said to be 83.8% complete in 14.5 million ha. Russian grain exports via seaports are up 2.1% Jan/Sep to 24.3 MMT. Ukraine's 2016 grain harvest meanwhile now stands at 46.7 MMT off 80% of the planned area. The wheat and barley harvests are over. Corn is 33% harvested at 7.8 MMT. Winter grain planting for 2017 is 72% complete. 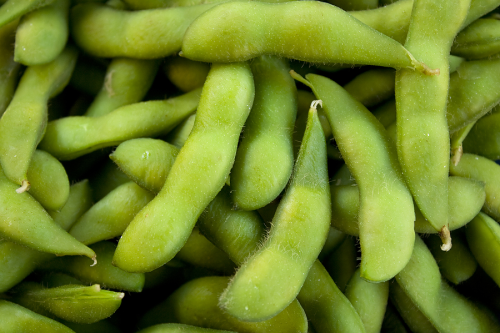 10/10/10 -- Soycomplex: Soybeans closed narrowly mixed. The trade is cautious ahead of Wednesday's USDA report, expecting a yield increase from last month's already record 50.6 bu/acre, but not sure by how much. The average trade guess is 51.5 bu/acre, but few would be surprised to see a higher number. The usual Monday crop progress report is delayed a day to tomorrow due to the Coumbus Day holiday. Trade ideas are for beans to be 50% harvested by now. China were back from their week-long holiday but there were no sales announced under the daily reporting system. Nov 16 Soybeans settled at $9.54 1/2, down 2 1/4 cents; Jan 17 Soybeans settled at $9.61 1/2, down 1 1/2 cents; Oct 16 Soybean Meal settled at $296.30, down $2.30; Oct 16 Soybean Oil settled at 33.62, up 51 points. Corn: The corn market closed with net gains of 3-4 cents. Unlike beans, the trade is anticipating lower yields in Wednesday's USDA report, with the average trade guess coming in around 173.4 bu/acre versus the USDA's September figure of 174.4 bu/acre. Funds still hold a large short position in corn and will be nervous heading into this report. As well as the usual crop progress report being delayed (corn harvesting is expected to be 40 t0 45% complete), tomorrow also brings the one-day delayed export inspections numbers. Dec 16 Corn settled at $3.43 1/4, up 3 1/2 cents; Mar 17 Corn settled at $3.53 1/4, up 3 3/4 cents. Wheat: The wheat market closed with solid gains on short-covering heading into Wednesday's USDA report. Friday's Commitment of Traders report showed spec money holding a record large short in Chicago wheat (151,417 contracts) as of Tuesday night. The trade is looking for US ending stocks of 1.050 and 1.400 billion bushels on Wednesday, with global carryout seen at 246 to 252.70 MMT. The USDA’s Attache to India estimates the country will import 3 MMT of wheat in 2016 vs the USDA's own official 2 MMT forecast. Dec 16 CBOT Wheat settled at $4.03 3/4, up 9 cents; Dec 16 KCBT Wheat settled at $4.07, up 4 cents; Dec 16 MGEX Wheat settled at $5.22 1/4, up 1/4 cent. 10/10/16 -- EU grains closed mostly higher on the day. London wheat benefitted from continued sterling weakness. The day ended with Nov 16 London wheat up GBP1.10 at GBP130.35/tonne, Dec 16 Paris wheat was up EUR0.75/tonne at EUR157.75/tonne, Nov 16 corn was EUR0.50/tonne lower at EUR158.00/tonne and Nov 16 Paris rapeseed was EUR3.00/tonne firmer to EUR380.50/tonne. This was London wheat's first close above GBP130/tonne since August, and it didn't stay above that level back then for very long. Indeed, it was the late spring/early summer of 2014 before London wheat spent any serious time above the GBP130/tonne mark. The pound hit new lows against the US dollar and euro in early trade, sending London wheat higher from the off. Firmer US markets helped along the way. Paris rapeseed put in it's first close above EUR380/tonne since June meanwhile. A level it hasn't spent any concerted time above since around Jun/Jul 2105. 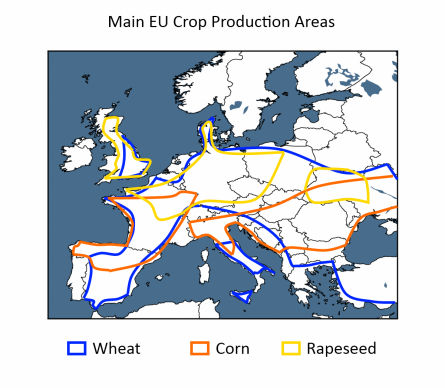 Strategie Grains reported the EU-28 rapeseed crop at 20.2 MMT, an 8.3% decline on a year ago. Yields this year were down 8.7% to 3.1 MT/ha and plantings were 6.53 million ha. For 2017 they see the planted area rising to 6.7 million ha, but gave no forecasts on 2017 output yet. Russia said that it's 2016 harvest was now 92.1% done at 113.8 MMT. That includes 75.5 MMT of wheat and 19 MMT of barley (both 96.7% harvested). They've also harvested 4.9 MMT of corn (off 31.4% of the combinable area) and planted winter grains on 13.8 million ha (79.6% of plan) for the 2017 harvest. Kazahstan said that their harvest is 99% complete at 23 MMT in bunker weight. Ukraine's exports via seaports last week fell to 545.9 TMT from 1.02 MMT the previous week, said APK Inform. That included 312 TMT of wheat, 155.6 TMT of barley and 78.3 TMT of corn.